Jean-Luc Godard once said that the best way to criticize a movie is to make another one. But our generation has put a strange twist on his aphorism: Even when we make new movies, we only seem to do so as a way of seeing old ones again. Don&apos;t believe me? Just look at the top box office hits of the past 14 years. With the exception of Avatar, every film was an adaptation, prequel or sequel. 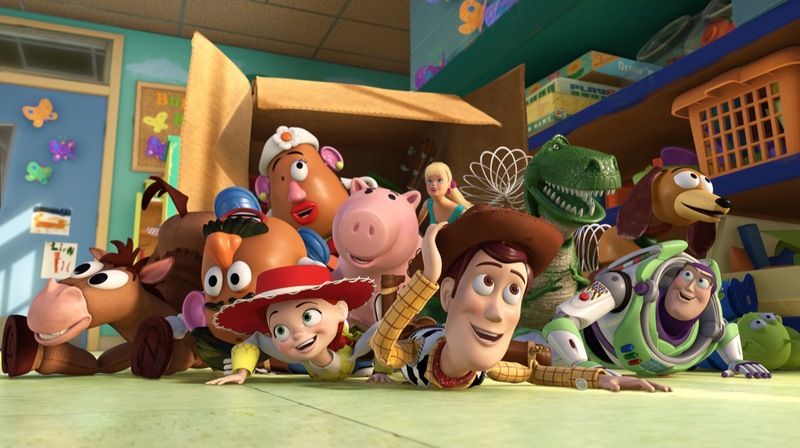 In fact, with the exception of Pirates of the Caribbean, all of them are based on characters and franchises who were already well-known to the public by the late &apos;90s — from favorite superheroes like Batman to the toys in Toy Story 3. Most of us have noticed the shift. While revamps and serialization are as old as celluloid, our current remake madness began with Star Wars: Episode I. Critics were lukewarm about that movie and fanboys generally hated it, but it still grossed over $1 billion worldwide and became the biggest box office hit of 1999. Ever since, countless well-known film, television and literary properties of the late 1970s, 1980s and 1990s have been returned to us in one form or another. Sometimes this results in cinematic gold (see The Dark Knight Trilogy), but more often it leads to disappointment. Nevertheless, with adaptations and sequels being the number one box office hits in all but one of the post-Episode I years, it makes sense that studios are churning out more. The next few years will bring us a Star Wars 7, Jurassic Park 4, Dumb and Dumber 2, a Batman reboot (co-starring last year&apos;s rebooted Superman), the sequel to the Spider-Man reboot and a Teenage Mutant Ninja Turtles reboot, to name only a few. And since millennials have a well-documented fixation with nostalgia for the movies and TV shows that permeated the zeitgeist of their youth, it is safe to assume that there will be more of the same in the future. This nostalgia obsession goes far beyond remakes. The Internet is more or less the source of the movement — nostalgia pours out from countless Tumblr pages, YouTube accounts and blog posts daily. Nostalgia-fueled TV shows like Family Guy and Robot Chicken are among the biggest hits on TV, and Jimmy Fallon is ruling late night television with a series of nostalgic sketches. Perhaps the most influential online cultural pundit active today, The Nostalgia Critic, embraces nostalgia in his actual nom de plume. Nostalgia has always appealed to those who have grown past childhood because it reminds of when one experienced everything with the enthusiasm of a newcomer to life. Instead of viewing the world through a nostalgic tint, younger people experience the world as a series of exciting promises often made by their fictional heroes&apos; lives. We remember the films and shows of our childhood as if somehow the characters who raised us implicitly foreshadowed what we would achieve when we too became adults and began our adventures. Anyone would want to escape from such a world ... fleeing to the past prevents us from fully engaging with a present that needs fixing. While I can&apos;t speak for previous generations, the consensus among millennials seems to be that our experience of this "real life" has been banal and disappointing. Many of us are boomerangers, living at home with our parents because of chronic unemployment or underemployment. We grew up during a time of unprecedented prosperity and unchallenged global supremacy, yet we have inherited a world of economic desolation and diminished status in the international community. The generation that lived through the Great Depression at least had the social experimental creativity of the New Deal era, the foreign crusades of World War II, the rebellion of the &apos;60s and the Cold War to give them a greater sense of purpose. We, meanwhile, have been left with a suspicious global mission and domestic gridlock. With nothing of central purpose in our world, we&apos;ve retreated to a childhood universe that spoke only in promises. Anyone would want to escape from such a world, so it was inevitable that the first generation to grow up with the Internet would jump at the chance to do so. The problem is in part that nostalgia oversaturation can become obnoxious after a while — a point we&apos;re well past — and also that fleeing to the past prevents us from fully engaging with a present that needs fixing. Of course, only a handful of commentators have observed that our desire to revive our pasts might have unsettling implications about the here and now. Nostalgia is simply viewed as a cute trend. Until that changes, we will spend so much time in a fantasy world that we fail to take full advantage of the real one.